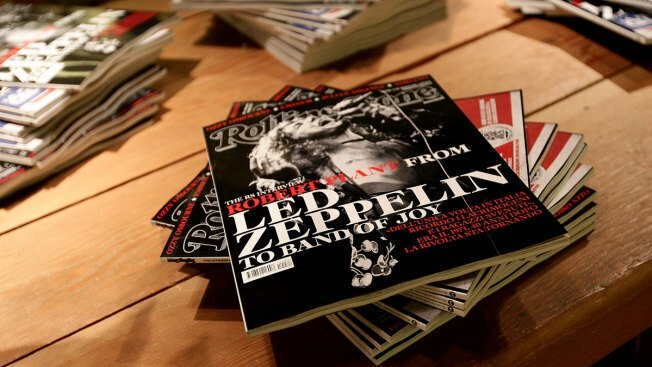 Copies of the Rolling Stone magazine are displayed on Jan. 12, 2011, in Florence, Italy. Rolling Stone founder Jann Wenner plans to sell his company's controlling stake in the legendary magazine that chronicled the music and politics of the counterculture movement and changed music journalism forever. "We have made great strides transforming Rolling Stone into a multi-platform company, and we are thrilled to find the right home to build on our strong foundation and grow the business exponentially," Gus Wenner, president and chief operating officer of Wenner Media, said in a statement. Gus Wenner is the 27-year-old son of Jann Wenner, and the two hope to stay on at the magazine, but it's a decision for the buyer, according to the New York Times, which first reported the news. Gus Wenner said in an interview last week that "publishing is a completely different industry than what it was." No potential buyers have been named. The company's other magazines, Us Weekly and Men's Journal, were sold recently to American Media Inc., helmed by publisher David J. Pecker. The elder Wenner says he hopes to find a buyer that understands Rolling Stone's mission.